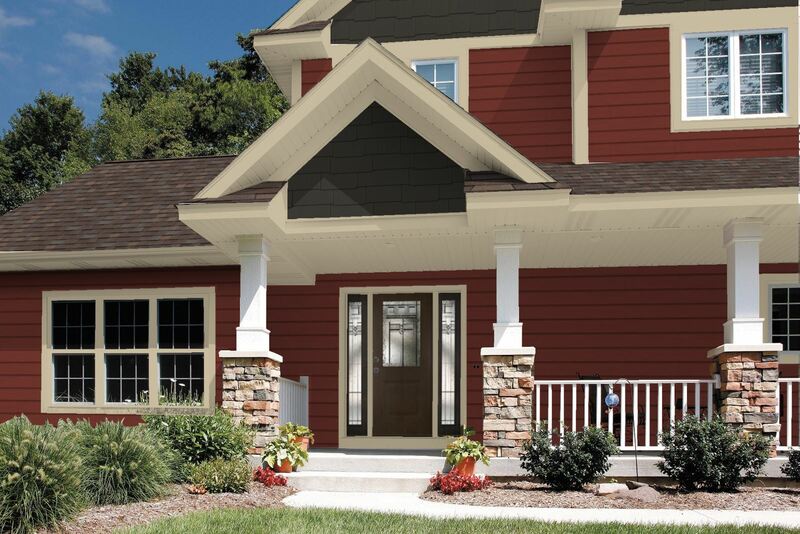 Diamond Kote Gallery- LP Smartside is shown here in Cinnabar for the main siding color. Staggered LP Smartshakes are featured in the gables as a dark earthy brown, Coffee. All trims, freeze boards, fascia, soffit, and outside corners are shown in LP Smartside in Tan. The Roofing, Landmark Pro Max Definition shown in Shenandoah unifies the dark coffee and tan trim.